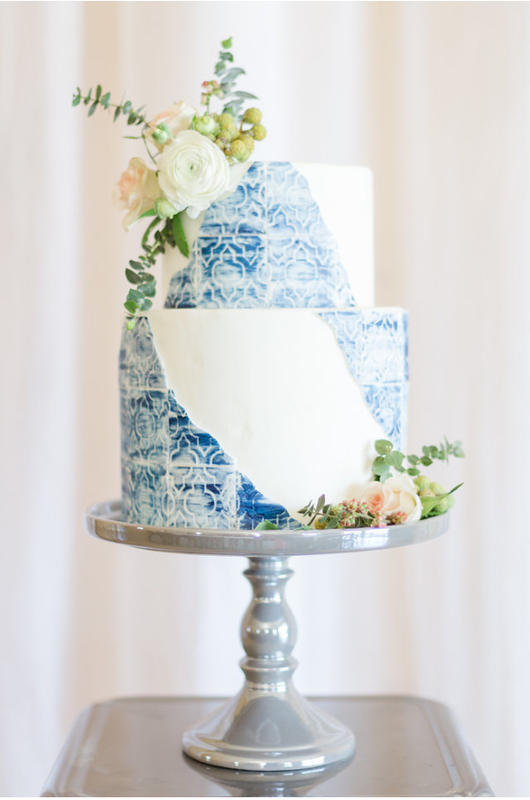 Excited to have another wedding pro on the blog sharing all things wedding cake! 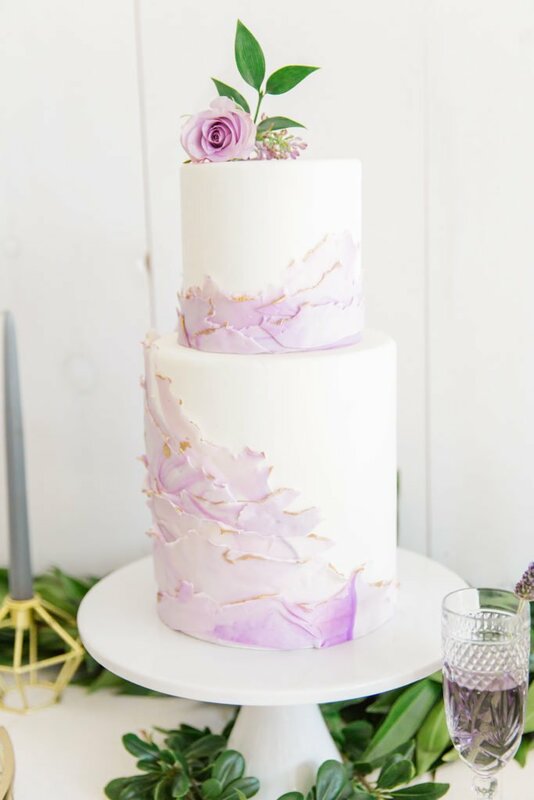 My path has crossed with Natalie Bryn, owner of Cake Envy, multiple times through real weddings and styled shoots (like this lavender one and this tropical one!). 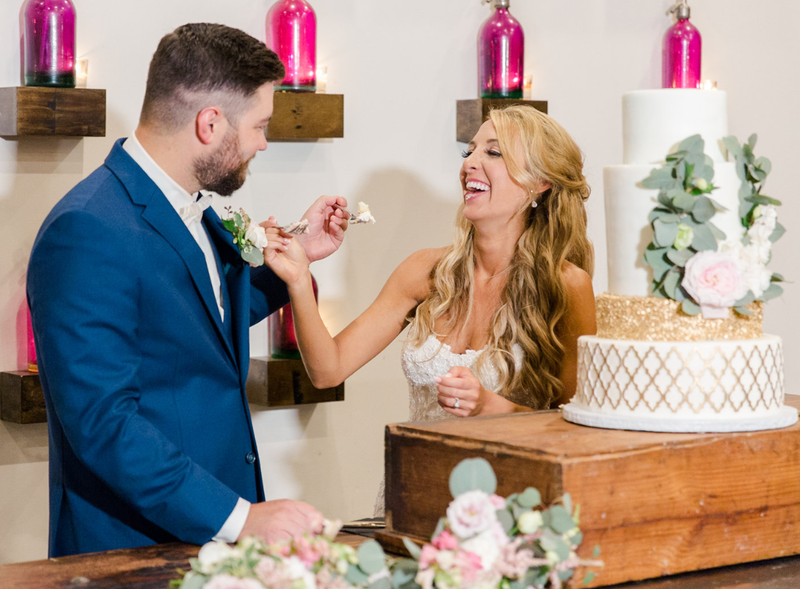 When wedding planning, it can be a bit overwhelming when it comes to custom cake and Natalie is giving her best advice on making decisions, making the most of your budget, and her favorite wedding cake trends. 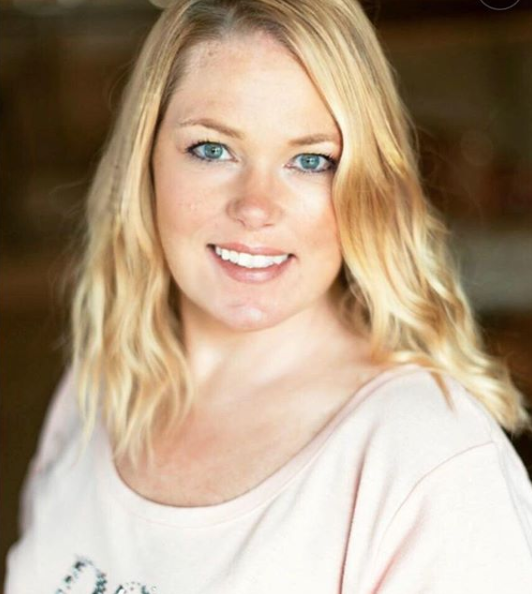 This post is FULL of valuable information and Natalie’s passion and energy shows through – I know you’ll find it helpful! Q: What led you to baking, designing cakes, and starting your own business in the wedding industry? I started out by baking birthday cakes for my kids when they were little. I was a single mama and couldn’t afford pretty cakes. I had always been somewhat artsy, so instead of pottery or painting, I took up cakes! 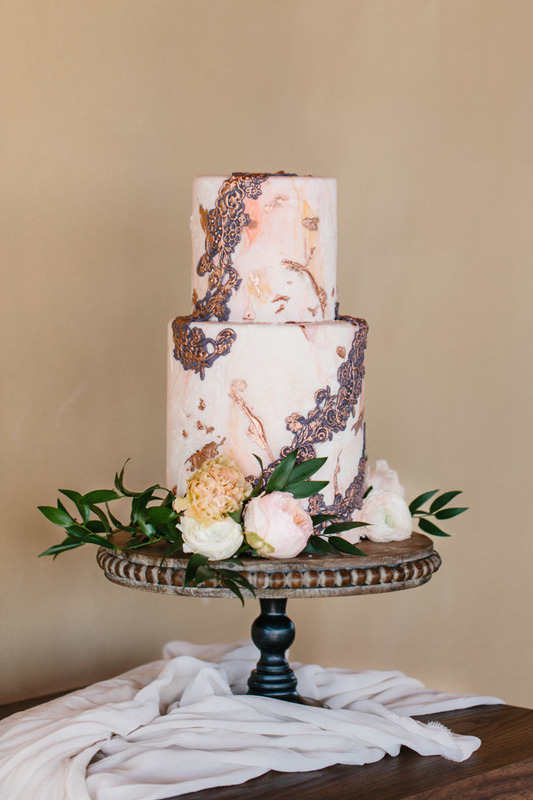 Q: What are the perks to hiring a professional to create a custom wedding cake? I think getting years of knowledge is invaluable. When I started out, I was cheaper, but there were a lot of mistakes made and lessons learned. When you hire an expert, you’re getting as close to a 100% guarantee that your cake will be produced professionally, structurally sound, decorated beautifully, transported safely, in one piece, on time, set up properly, not damaged, and so much more! This is WAY more than a cake – it’s the centerpiece of the whole reception! Make sure it’s perfect! Q: At what point in the wedding planning process do you begin working with couples? 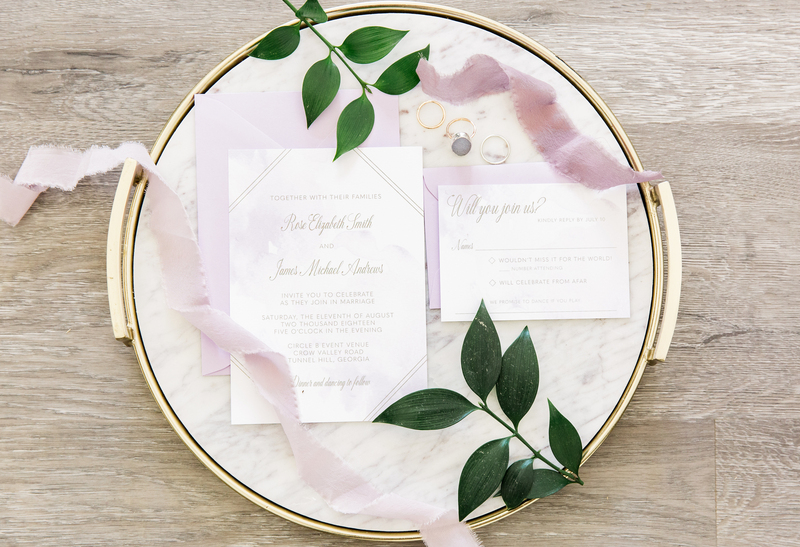 As soon as you have a date and a venue, I recommend getting your vendors nailed down! For many of us, we can only do so much, and when those dates are booked, they’re booked. I don’t have staff, so I can only do what I can do! The more popular I get, the further out I’m getting booked, so once you know, get that tasting booked and let’s do this thing! Q: How can a couple prepare for an initial meeting (or phone call) with you and what does that meeting look like? Have a realistic budget and a good idea of what you like! I don’t mean all the details need to be known, but find your inspiration! It makes the cake design session so much easier if I don’t have to run through everything that’s possible. When we meet for the tasting and design session, we will taste about 8 flavors of cake and 4-5 fillings and frostings. You get to mix and match flavors to create your perfect combo! We also come up with (and draw out) a cake design so you know exactly what you’re getting and get to dream about the final product! Q: Since most couples getting married haven’t done this before – tell us what they should know and expect! I offer wedding cakes and grooms cakes and do a limited number of desserts. One of the important things to know when considering a dessert buffet (which is adorable), prepare to spend A LOT of money! More than a wedding cake even. I always sound like a used car salesman when I say this, but want to set the budget expectations for couple. The reason dessert displays are more expensice is because if you give people 4-5 options, they are going to want to taste 4-5 items! They may not want to eat 4-5 desserts fully, but they do want to taste! Over and over again, when surveyed, people are most excited to eat the food offered at weddings! Think about it…. these are things that they can’t walk into the grocery store and buy. Guests are being offered custom, premium, high end desserts and they want to try them! So if a wedding cake is $5/serving, and a dessert is $3.50/serving, then yes, serving to serving, the dessert option would seem lower. However once you order 3-4 per person, you’re spending upwards of $15/person for dessert! So think carefully about this. If you were thinking of 5 different desserts for your display, you need to assume that most everyone will have 3. Q: Are there any misconceptions about your industry you’d like to make sure brides and grooms understand? 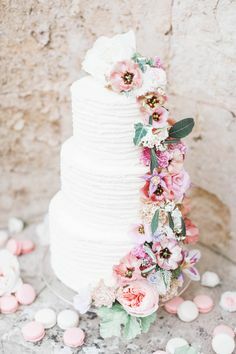 Other than the above about the dessert buffet, another suggestion I see thrown around is the idea of getting a styrofoam/faux cake to display and a sheet cake to feed people with. Let’s think about this for a minute. Someone wants a full on faux cake that looks like real cake, so it’s decorated like a real cake. Then, they want enough cake to feed everyone at the wedding. Q: Let’s talk about trends. Is there anything you’re loving right now or see being popular for 2019? Any trends that you don’t love or see fading out this year? I absolutely love the intentionally “messy” and “imperfect” trend happening now. For my whole 20 years as a decorator, smooth edges and clean sides and perfect lines were what we were aspiring to perfect. The rustic trend brought us unpretentious and intentionally textured frosting that looked like maybe grandma could have decorated the cake. Then came the naked cakes! For my entire career, you were supposed to cover up the cake. 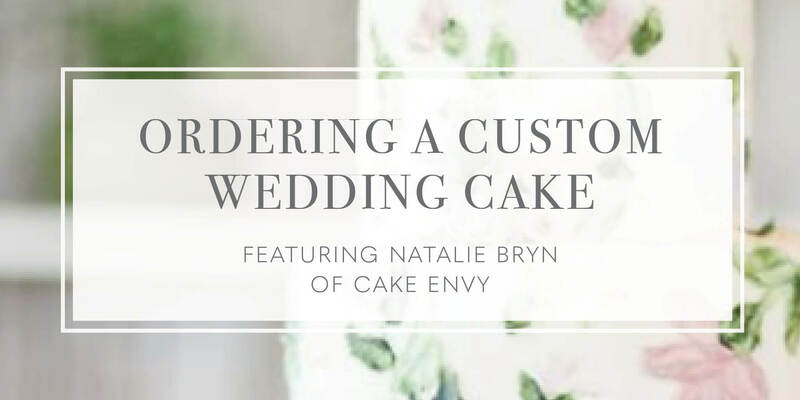 Q: What is your biggest tip when it comes to couples ordering a custom wedding cake? First and foremost, have a reasonable budget. I always advise couples to go into their cake tasting and design session with a “no limits” attitude. Design exactly what you want with no thought of budget. You may be surprised at how affordable it can be! And once we’re done, if it’s outside of a reasonable budget, I now know what you love and what’s important, we can make some adjustments to try to meet the budget. You may be surprised at what we CAN do within budget! My second piece of piece of advice is to not let too many people have influence over your wedding. I know people don’t love burlap and mason jars anymore, but that’s because WE have seen it a lot. 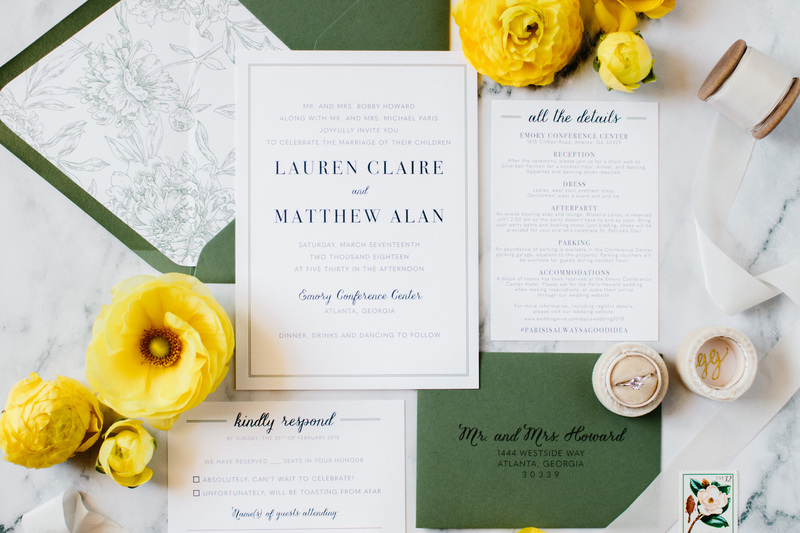 But YOU only get one wedding and if you love burlap and mason jars, then by golly…. you get them! This is YOUR dream wedding. Don’t let your best friend, Pinterest, blogs, influencers, or even your mama sway you from what you love. You do you girl, seriously. 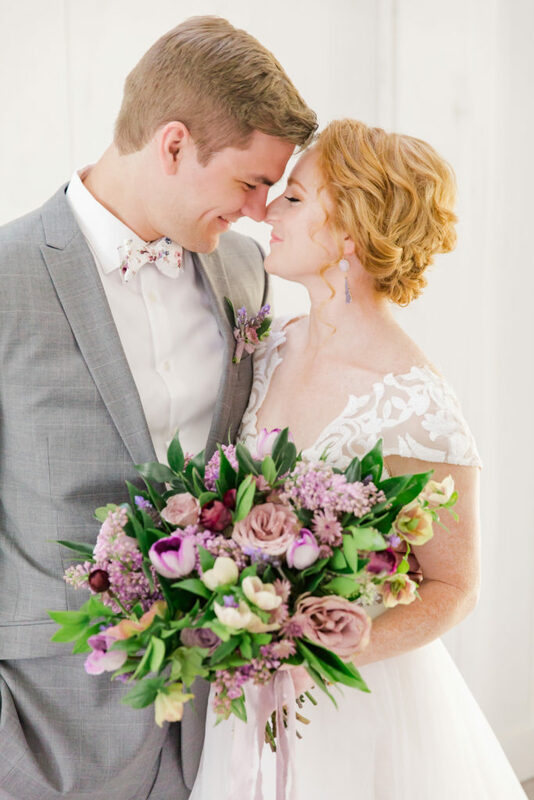 I know it’s just November, but in wedding planning world – it’s all things Spring! As the holidays quickly approach and the year comes to a close, I start booking invitation clients for the season ahead. 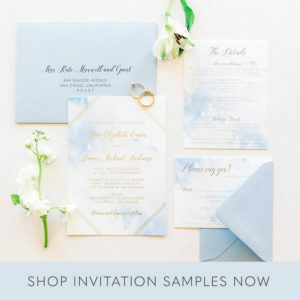 Since invitations are mailed 6-8 weeks prior to the wedding, couples getting married in March, April, and May will start ordering wedding invitations soon! 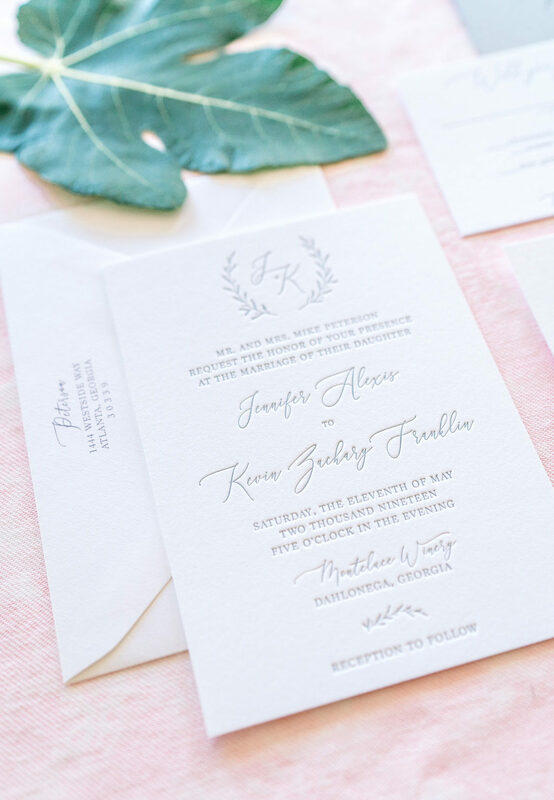 Here are some of my favorite designs for spring wedding invitations! You can order a sample of any of these suites right here. 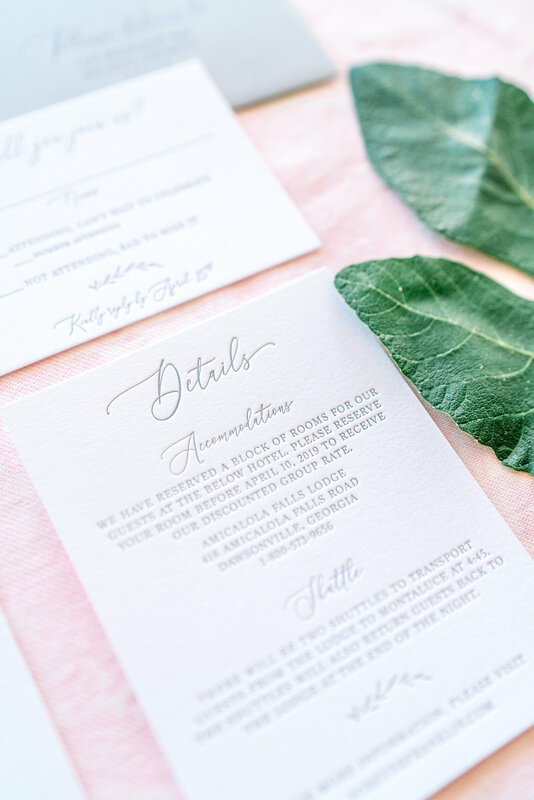 This blush and eucalyptus design is one of my most popular suite for spring invitations! 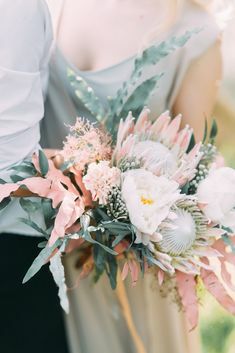 These were customized designed for a May wedding with a neutral palette. Read more about the inspiration behind these invitations here! Originally created for a St. Patrick’s Day wedding, I think this design would work perfectly for any spring wedding! 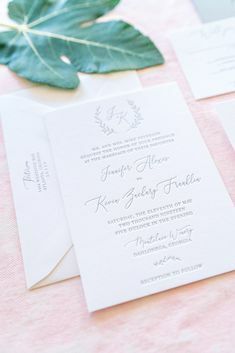 The floral envelope liner gives the perfect detail while the invitation is clean and modern. Colors can be customized to make this design your own! I’m somewhat partial to this suite because it was a custom design for one of my best friends who got married last April. 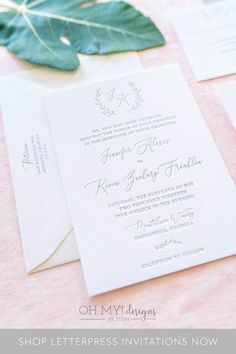 The watercolor was perfect for her coastal wedding and fit the theme perfectly. Want to see this design in action? 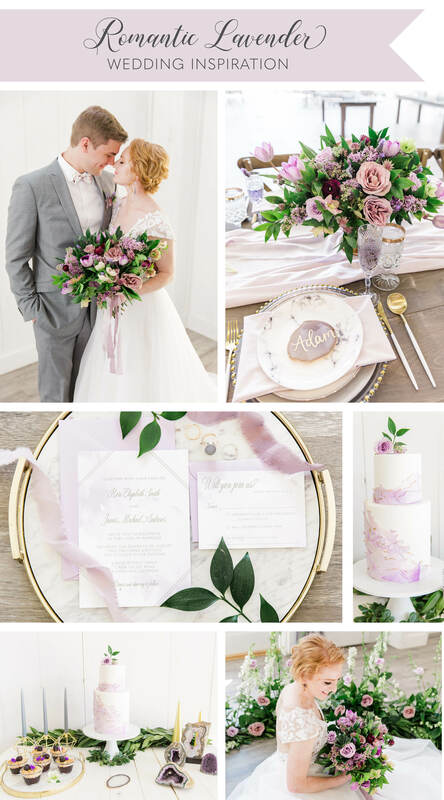 Check out the bright lavender styled shoot here for even more inspiration! 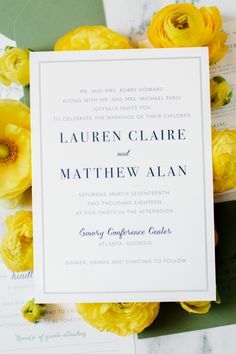 Southern spring wedding? 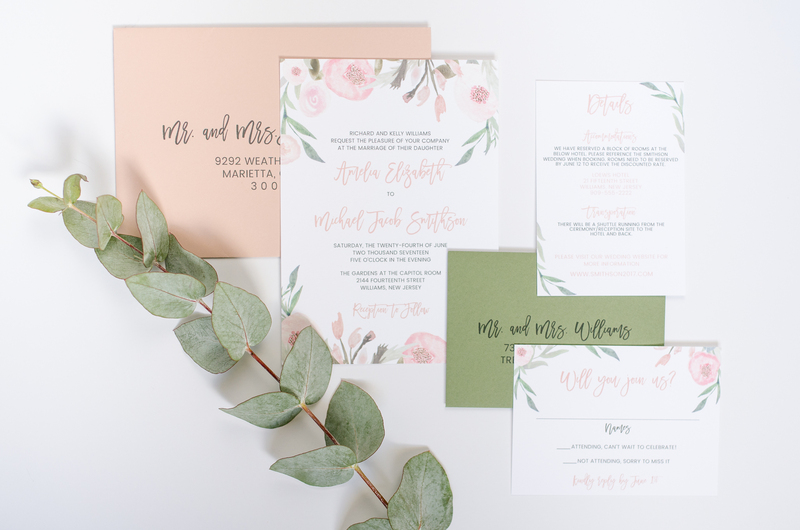 What’s more fitting than a magnolia wedding invitation design? I always relate magnolias to the South and this design was originally created for a Savannah wedding. 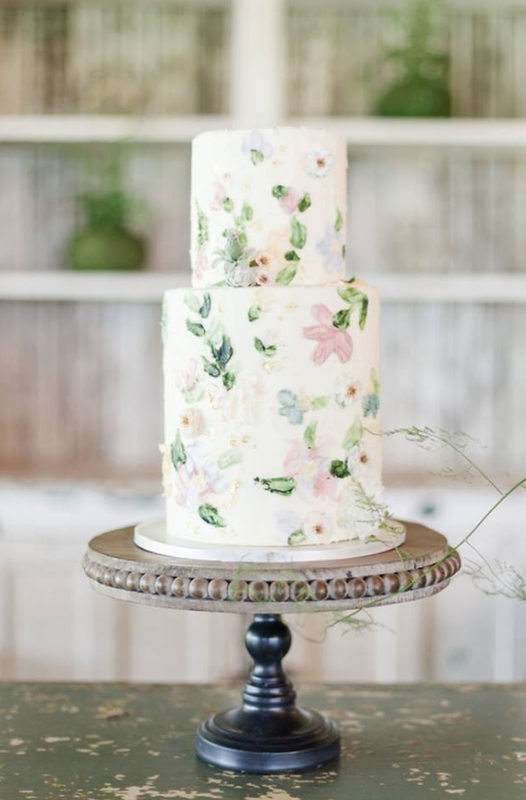 I love this design for a rustic spring wedding! 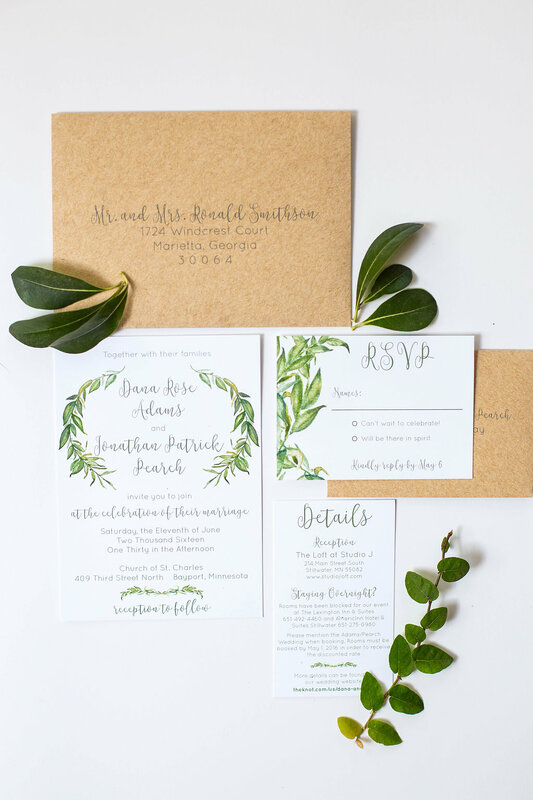 The greenery design paired with the recycled kraft envelopes could be the perfect first impression for a wedding with a natural style. 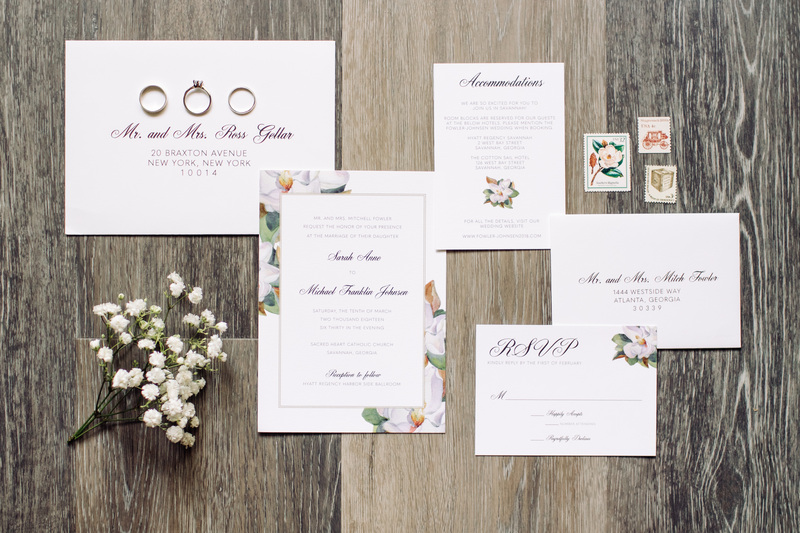 See the full pretty paper feature of this suite on this post! 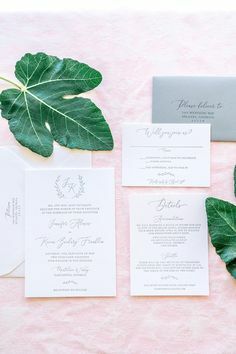 When thinking about choosing an invitation design, try to pick something that will not only set the tone for the wedding day, but reflect your style and personality as a couple! 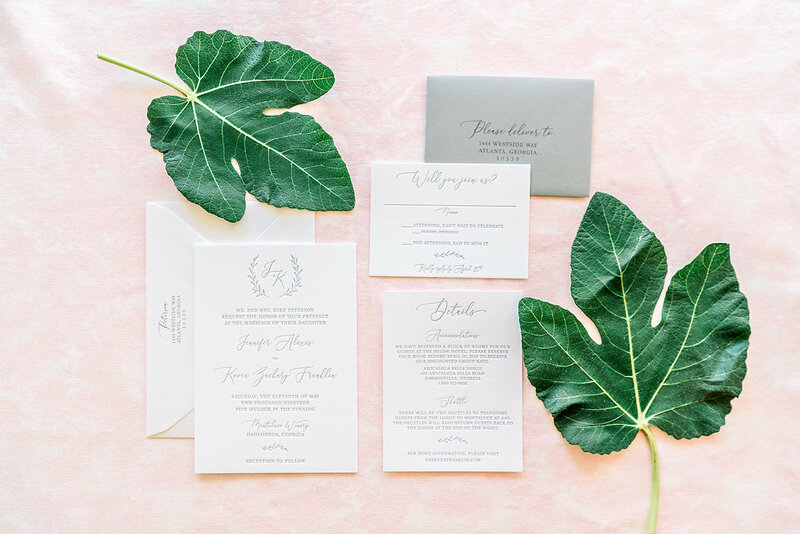 Download my invitation guide now for information on the process, pricing, and answers to frequently asked questions! Love it or hate it, Instagram is a big part of daily life in 2018. With all social media, there are positives and negatives to spending time on the platform. 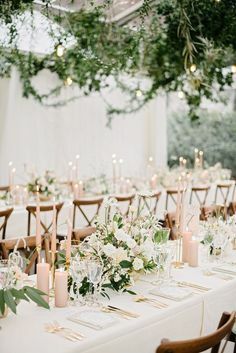 For the busy bride, I think the app is a great way to jumpstart your wedding planning – create a feed full of inspiration, discover wedding venues, and find your perfect vendors! 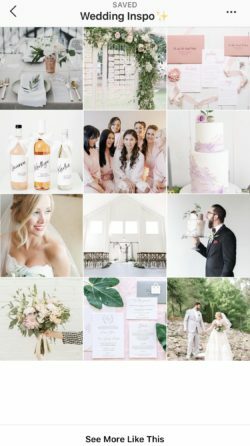 With Instagram’s saved post feature, you can begin to pull together inspiration for your wedding theme. 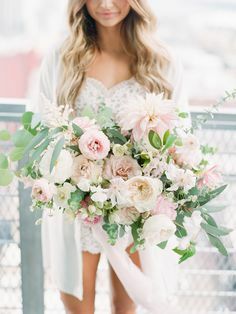 See a photo of a gorgeous gown or beautiful bouquet that matches your big day vision? Just click the flag icon on the bottom right to bookmark a post. After you begin saving posts, you can even categorize them by adding collections. Visit the posts you’ve saved by clicking on the three bars at the top right when on your profile’s page. Click on “saved” to see everything and “collections” to start organizing. 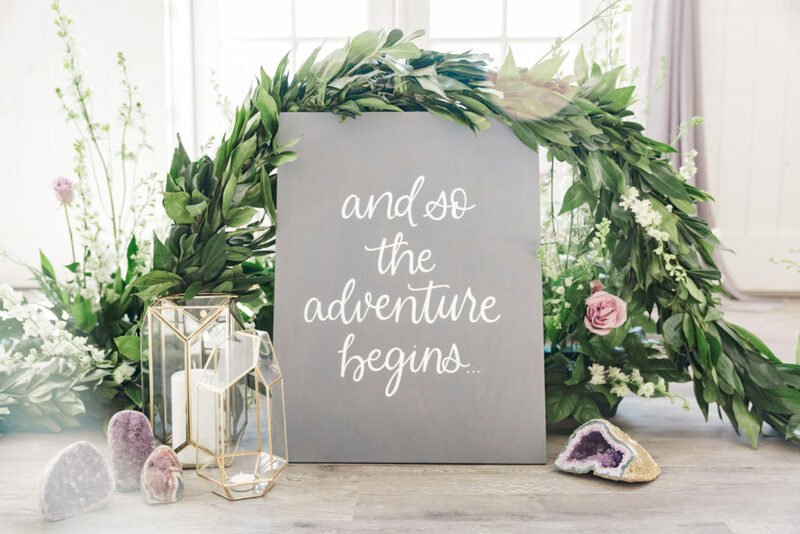 This is a great place to refer back to when wedding planning – and all on your phone! 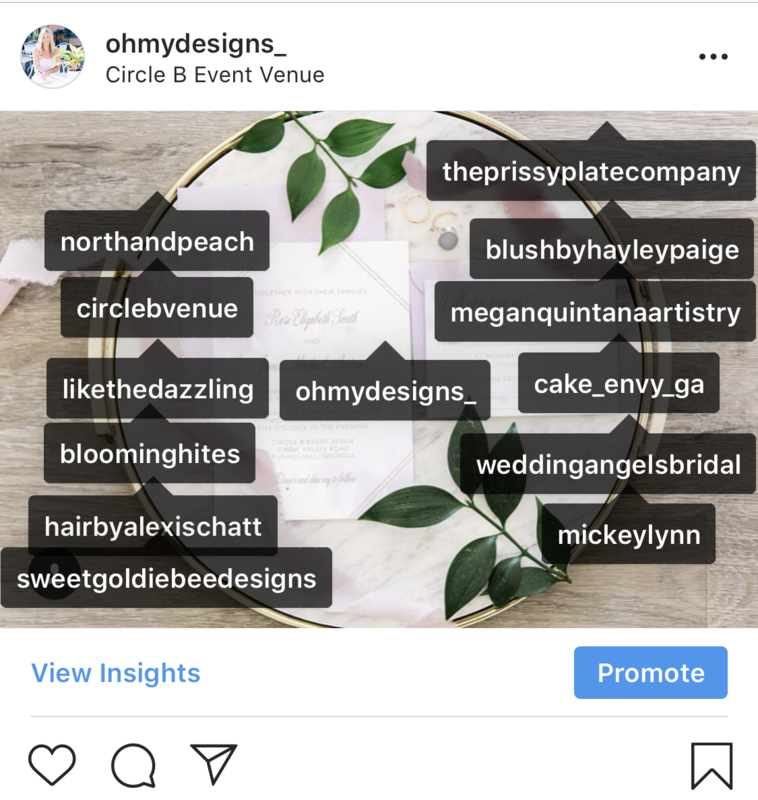 Use hashtags to find the vendors for your big day. 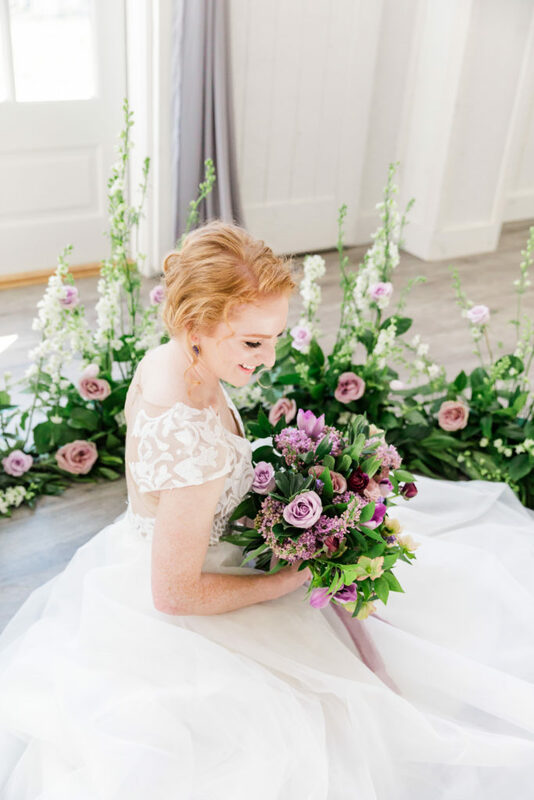 Although I work with brides all over the country, many vendors are location specific – think about your planner, photographer, florist, makeup artist, hair stylist, cake designer, band – the list goes on! You can find awesome vendors by searching “your city + wedding” or “your city + vendor speciality” or a combination of these things! 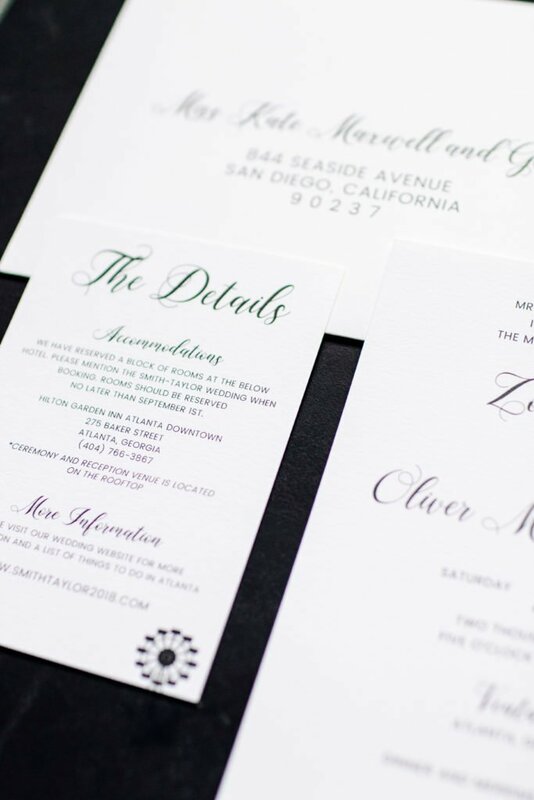 For example, if a San Diego bride wanted to work with a local invitation designer (hi, I’m here!) 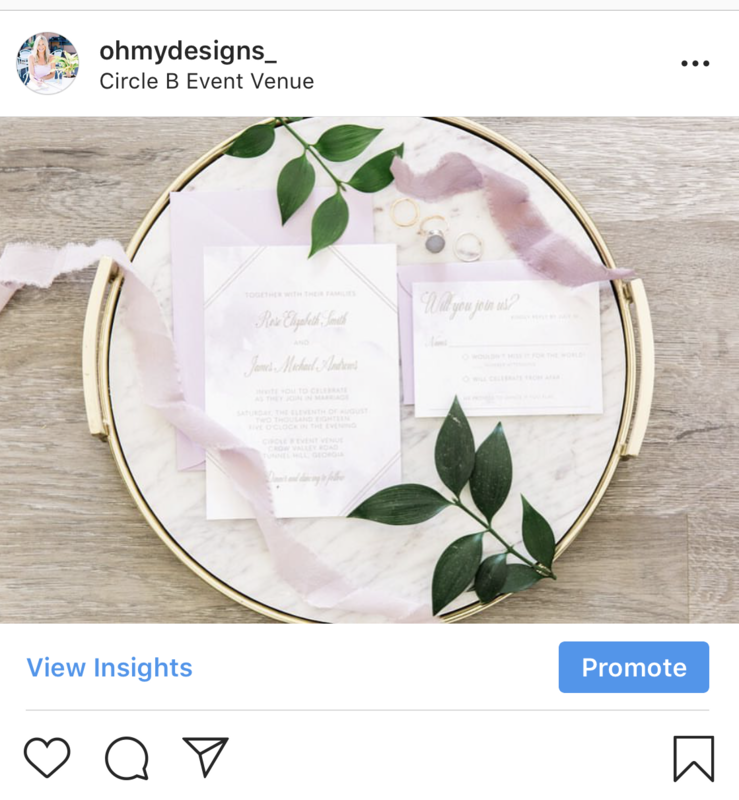 you can find me on Instagram by searching hashtags like #sandiegoweddinginvitations, #sandiegowedding, #socalbride, #southerncaliforniaweddinginspiration, and more! To browse hashtags, just type it in the search bar – you’ll be amazed how many wedding vendors are using Instagram! If you see a photo that fits your style, visit their profile – it should be a living portfolio of their work. 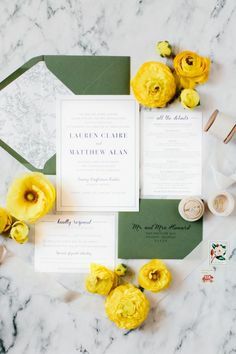 You’ll be able to get a better idea of their aesthetic, the types of weddings they work, and even a glimpse of their personal life. 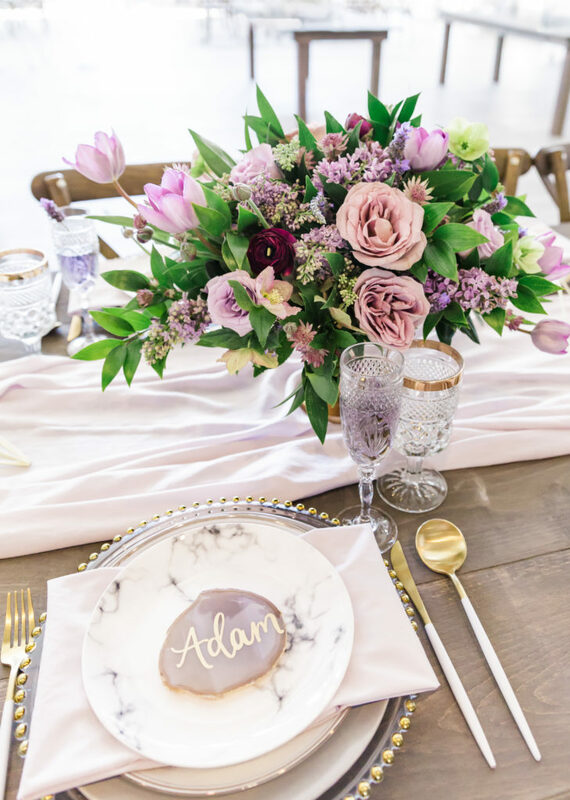 It’s a great way to connect with someone – you might even follow them in the beginning stages of wedding planning to keep them in mind as you begin booking vendors. 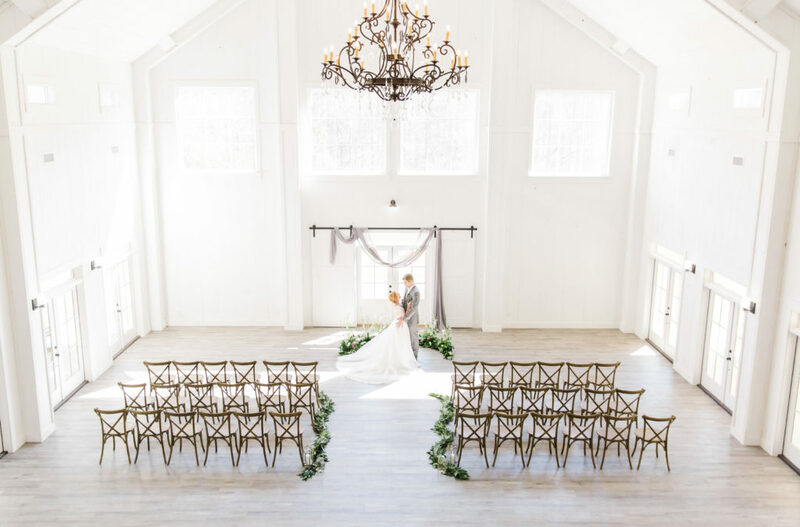 Along with searching for vendors, Instagram is a great place to check out wedding venues – without even leaving the house! 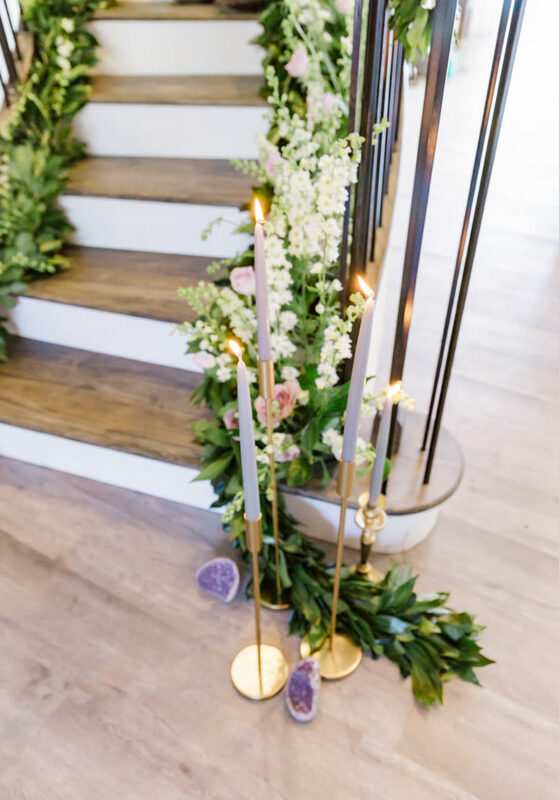 To be fair, you definitely need to visit any wedding venue in person to make a decision, but looking at it on social media can help you narrow down favorites. Use the hashtags or places feature to find venues, then browse their photos to see what the space looks like. On the places page, you’ll see an entire feed of photos that people have tagged at that location. I really like this because there are professional photos from vendors, but also pictures from guests themselves. Find a vendor or venue you really love? Tagged photos are a great way to find other vendors with a similar style. 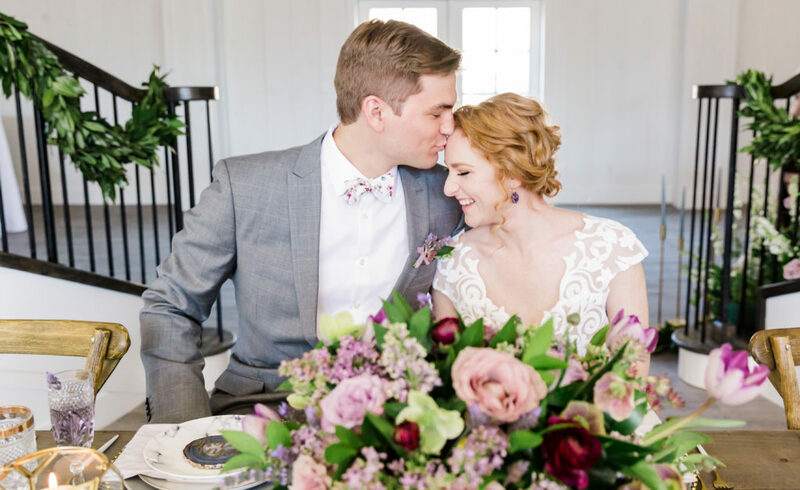 As wedding professionals, we’re always collaborating – both on styled shoots and real weddings. Those pictures end up on Instagram where every vendor involved is tagged. Usually by finding one, it’ll lead you to several others! It’s never a bad idea to choose vendors who have worked at your venue, or worked together, previously. There’s a big advantage to that – they’re familiar with the space and each other, which ensures your wedding day will go super smoothly! So, break out the phone (although I know there’s a 52% chance you’re reading this on your mobile device) and begin your Instagram wedding planning now! You can start by checking out my work and following me – comment on my post letting me know you found me through my blog post! You’ve gotten your engagement photos back from your photographer and are stoked because – it’s time to order your save the dates! The excitement quickly turns to overwhelm as you realize how hard it’ll be to choose ONE photo. Where do you even start? There are so many favorites, because you guys look totally adorable and your photographer did an amazing job. 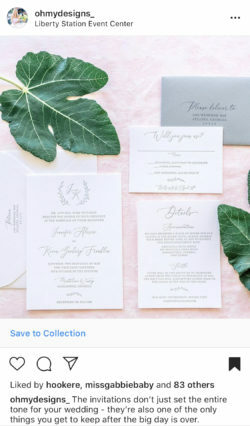 How do you choose the perfect photo for your save the date cards? 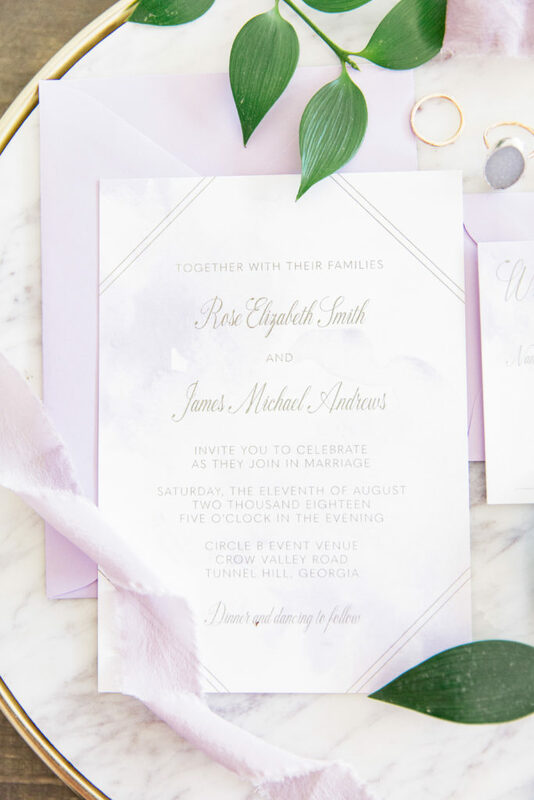 First things first, if you’re wondering what save the date cards are – let me explain. 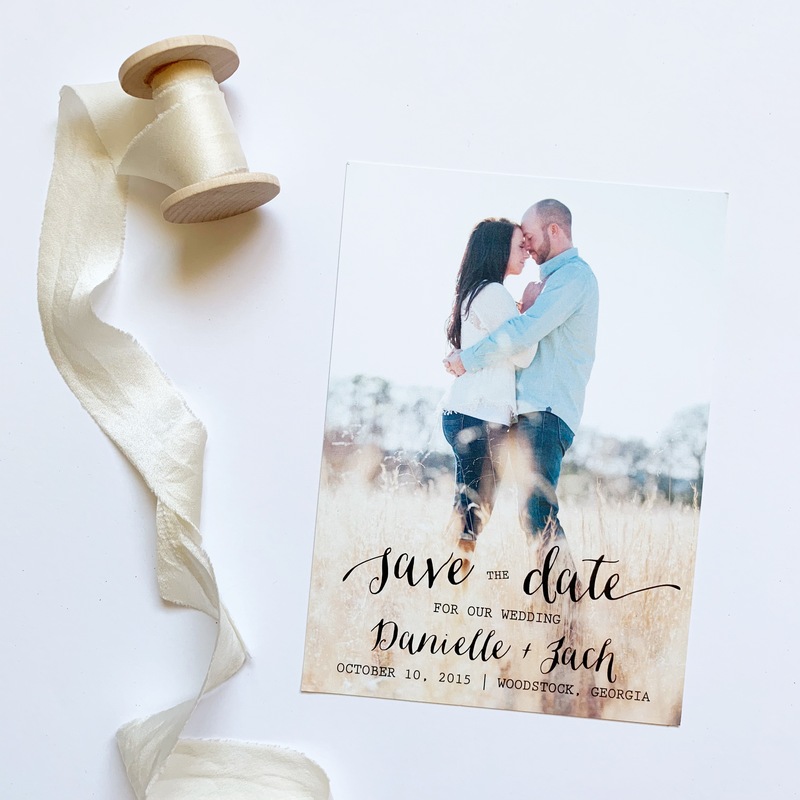 Save the dates are usually sent about six months before the wedding to announce to guests to, well, save the date! Often, a photo is included with some basic details about the wedding. 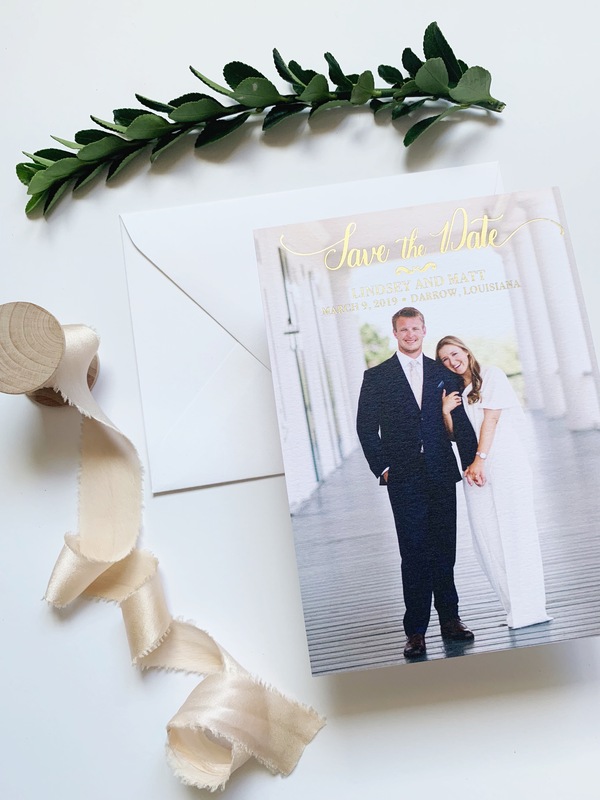 Read this post for more information on what save the dates are and if they’re necessary for your wedding! A picture taken on a phone doesn’t always work best for printing. If you’re working with a professional photographer, they’ll provide high quality files that are made to print – with at least 300ppi. Your designer will be able to quickly review the file to make sure it will print nicely. Having a good quality photo for your save the dates is important! Along with the overall size, choose a photo with good lighting and that’s distraction free. The focus should be on the people in the photo, not the things going on around it! I recommend a picture where nothing important is close to the edges. When a design goes to print, there’s a margin of error accounted for and if anything (like your head!) is too close to the edge, there is a chance of it getting cut. A photo where there’s plenty of safe space on the sides works well! Photos with negative space make for the best save the date designs, in my opinion. This means that there’s room on the actual photo for a design to lay without conflicting with the photo itself. A good example is a picture where the couple is on one side and there’s a muted background on the other, perfect for laying out information. Check out these examples for inspiration! This is more of my preference, but I like to mention it because it’s often not considered when choosing a save the date photo. There are so many great photos where the couple (or even just one person) is looking down, away, etc. I adore photos from behind of a couple holding hands, but these don’t work best for save the dates. Why? Because your family and friends want to see your pretty faces when they get your save the date in the mail! Save the dates usually only include first names, so there’s a possibility of confusion if your face isn’t showing. Think about it! 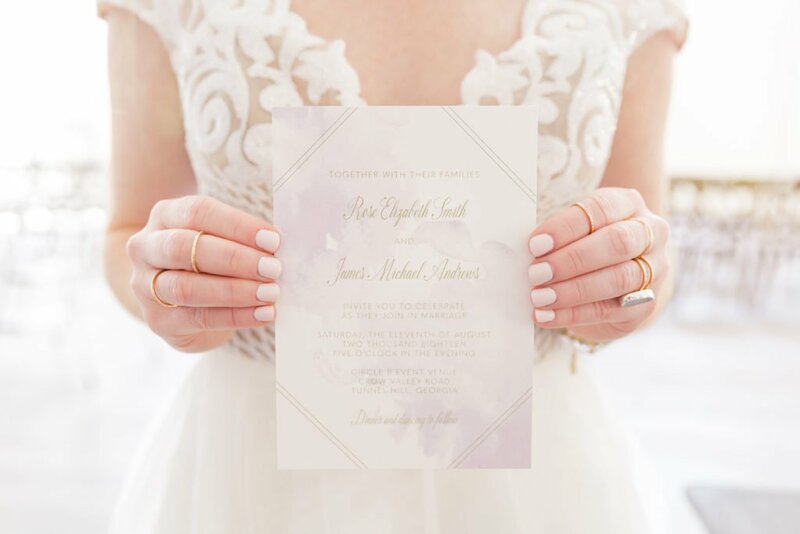 Your save the date is the very first detail guests receive for your wedding day – try to keep it within the same overall feel as the rest of your wedding! 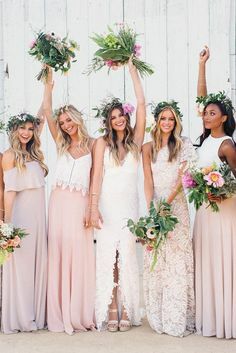 Having a laid back, non-traditional wedding? Pick a photo that gives that vibe. 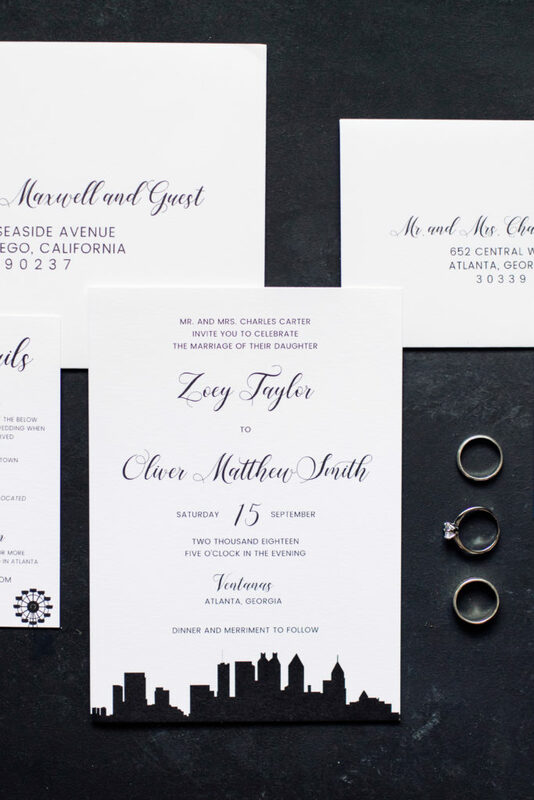 Will your wedding be black tie? Choose a picture that represents a formal affair. Hopefully these tips help you narrow down the perfect photo for your save the date! If you’re still having trouble choosing, you can always add a second photo to the back of the card or do a collage style design. Still in doubt? Send your favorite options to your designer – we’ve done this before and are happy to give our opinion on which would work best. I love getting to see your engagement photos and helping you choose one! 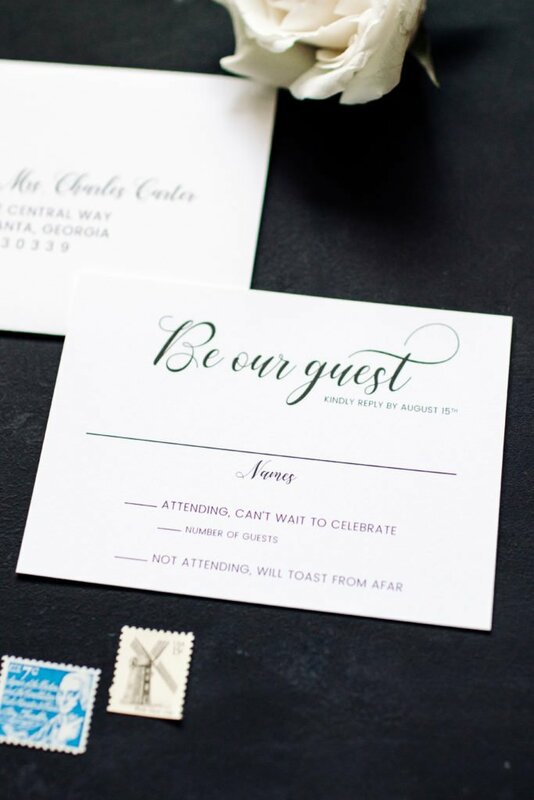 Order save the dates based on the number of addresses on your guest list rather than the number of guests. Each household only needs one and by counting guests you’ll likely order way more than you’ll actually need! 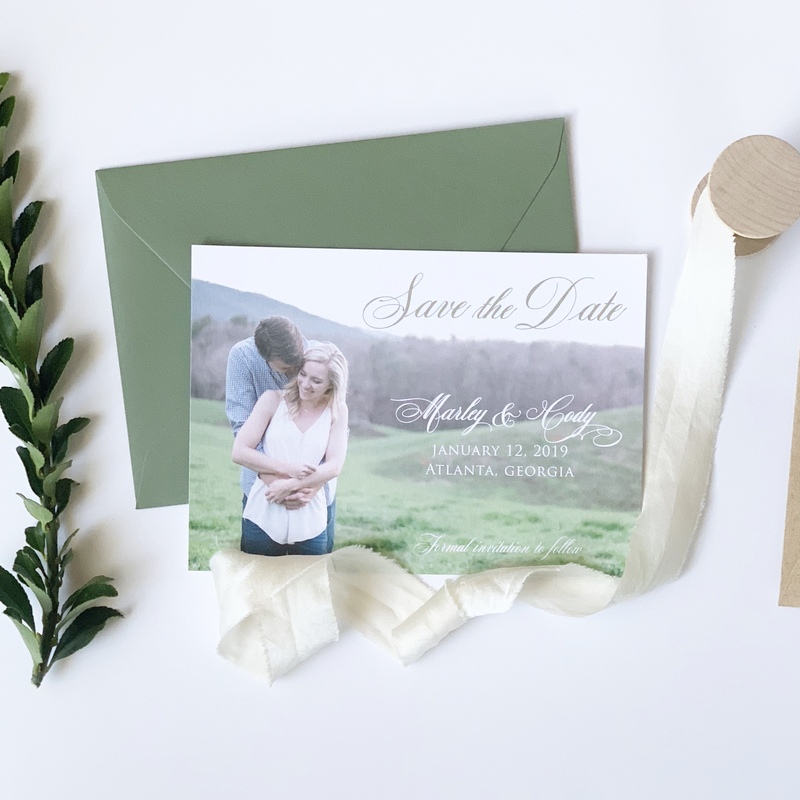 Ready to order your save the dates? Get in touch with me today! Creating a skyline wedding invitation has been on my “design bucket list” for a while. Whenever I visit a new place, I always get a little magic twinkle feeling seeing a city skyline! Although I’ve never truly lived downtown, I suppose I’m a city girl at heart. There’s something romantic and exciting about a skyline. Whether the sun is rising, setting, or the moon is out – seeing a skyline flicker in the light is my absolute favorite! 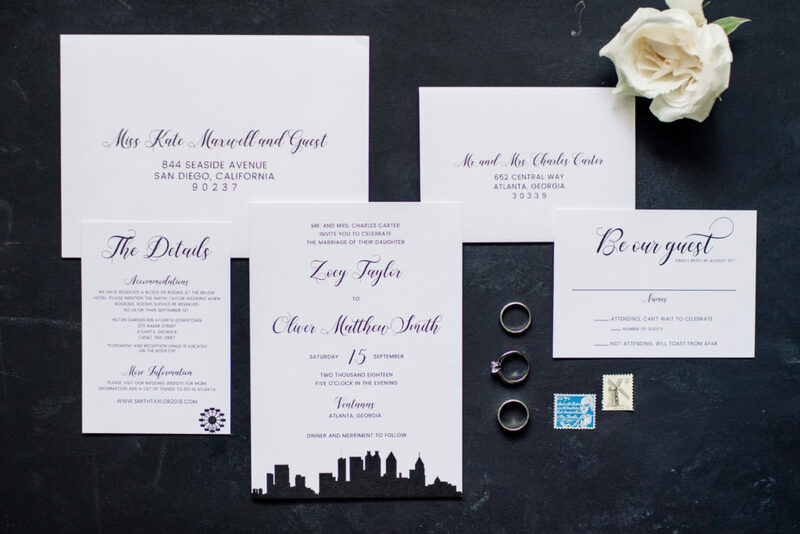 These invitations were created with a modern, rooftop wedding in mind. I kept it classic using only black and white, but used a fun script font to add some pizzazz! I wanted to keep it close to home by using the Atlanta skyline, but this design can be customized for a variety of major cities including my other two favorites – New York City and San Diego! For Atlanta, I added the ferris wheel detail to the information card. I’d love to get creative on what landmark to add for a different city’s skyline! 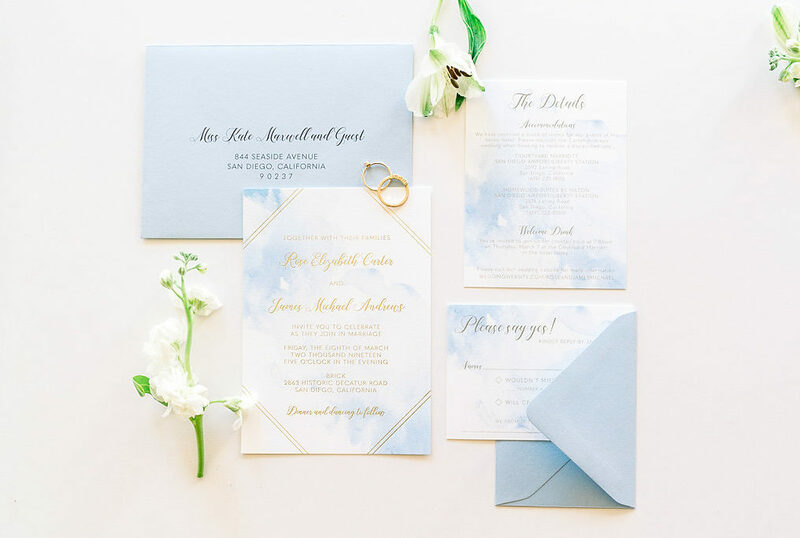 Using this invitation suite would be the perfect first impression to guests of a modern or classic big city wedding of any season! Interested in customizing these for your big day? Order a sample or fill out my questionnaire to get started!